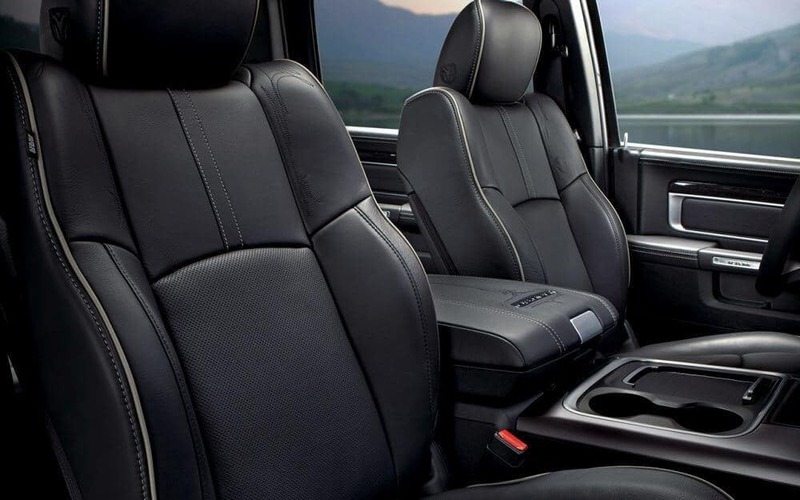 The RAM 1500 gives Fort Worth and Grand Prairie drivers access to an impressive array of features like rear heat vents for passenger comfort, a low lift-over bed height for easy loading, and more amenities than even high-profile competitors like the Chevrolet Silverado 1500. Explore our comparison of the two popular full-size trucks and see why the RAM 1500 is the winner. The RAM 1500 offers Arlington drivers access to an engine that provides more power for towing. The RAM 1500 diesel engine is more fuel-efficient as well, providing 27 mpg/highway fuel efficiency versus the Silverado’s 24 mpg/highway rating. The RAM 1500 has 13.2-inch front and 13.8-inch rear rotors that give superior stopping power. In recent Motor Trend testing, the big truck came to a complete stop from 60 mph in just 123 feet. 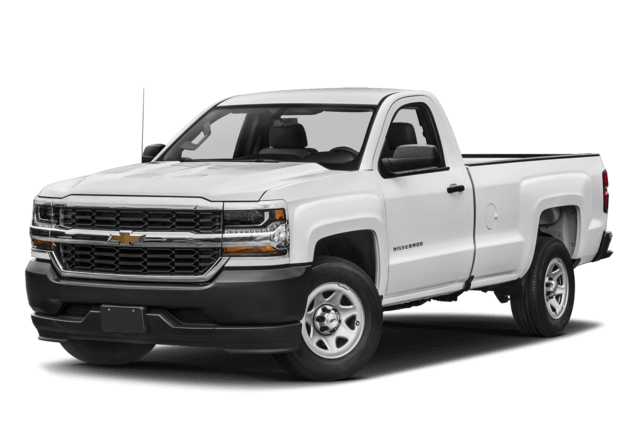 The Chevrolet Silverado, with smaller 13-inch front rotors and 13.6-inch rear rotors, stopped in 131 feet, which is 8 feet more than the RAM 1500. 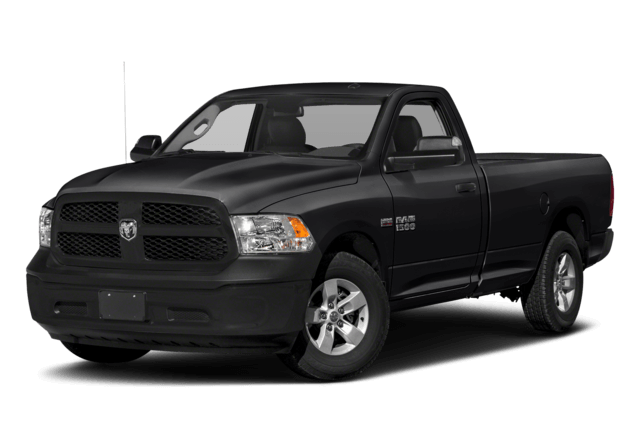 RAM drivers get access to a variety of available features that make any job more enjoyable including the advanced keyless Enter ‘n Go system, which allows the driver to unlock the doors and start the engine without searching endlessly for keys. The Chevrolet Silverado is not equipped with an advanced keyless system. RAM drivers can also opt for heated rear seats on select models for an exceptional level of passenger comfort. The Silverado doesn’t offer heated rear seats. Get behind the wheel of a new RAM 1500 and see why adventurous Fort Worth and Grand Prairie drivers choose it over the Chevrolet Silverado 1500 or the Ford F-150. 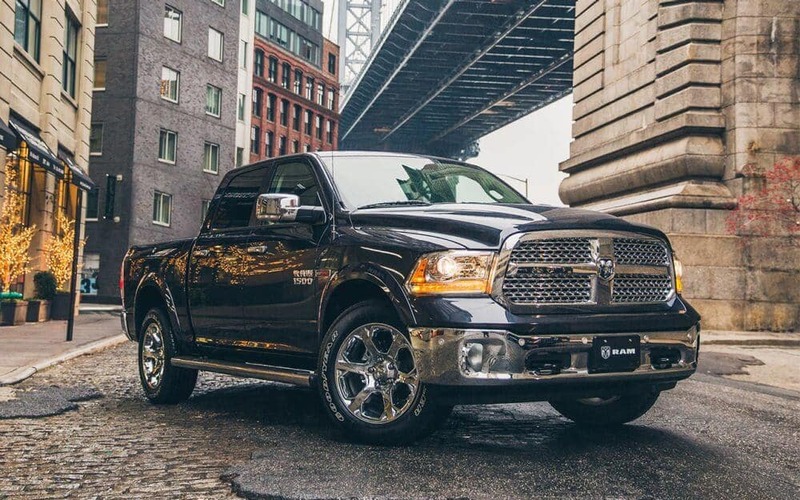 Contact the experts at Ewing Chrysler, Dodge, Jeep, RAM or visit our showroom in Arlington to learn more about this truck and to explore the financing options available to you.